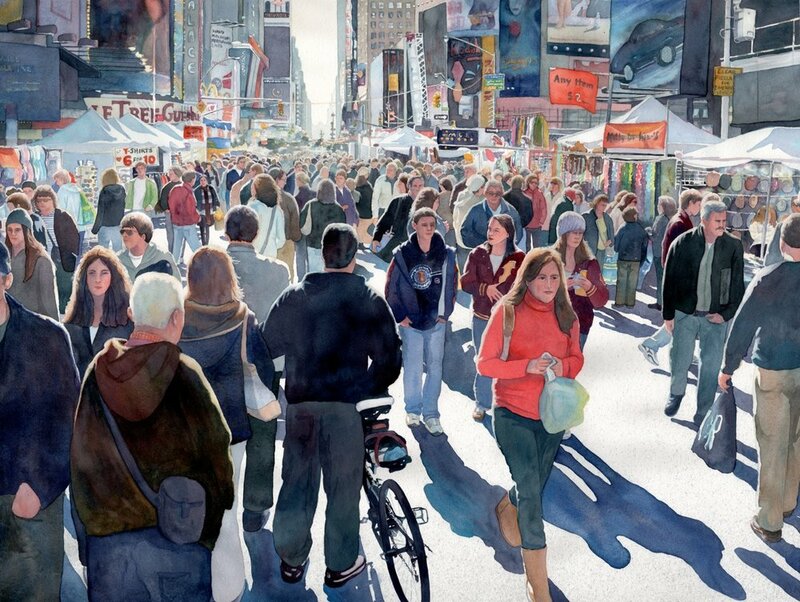 Story Behind This Painting: During a trip to New York City, we were headed back to our hotel when we came upon this fair occurring down the street in Time Square. I snapped a few quick pictures with my camera over my head. I like the back lighting on the figures and the interesting shadows that were created on the brightly lit street.